Pavan is an Associate at Arkitekt Ventures, an early stage venture capital firm with a mission to improve and advance human health. In his role at Arkitekt, Pavan helps support and invests in founders working on disruptive models of healthcare delivery, and applications of frontier technology such as neurotech, AI, AR/VR to medicine. Prior to Arkitekt, Pavan was the Vice President of Corporate Development for Rx.Health, a spin-off from the Mount Sinai Health System in New York. Rx.Health’s flagship product, RxUniverse, is an enterprise-wide Digital Medicine delivery platform that enables physicians to prescribe evidence-based digital therapeutics, multi-media educational materials, and other digital technologies to patients at the point of care. At Rx.Health, Pavan managed partnerships with leading health systems, payers, academic researchers, investors, and digital therapeutic companies to drive transformation in care delivery. Pavan is passionate about accelerating the pace of innovation in healthcare by decreasing friction points between patients, providers, and technology. 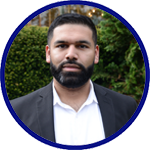 As an active member in the digital health ecosystem, Pavan serves in various advisor and mentor capacities to NODE Health and the Health IT Connections Program at the New Jersey Innovation Institute. Pavan left the 7-year BS/MD medical program at New Jersey Institute of Technology – where he was an Albert Dorman Honors Scholar – to pursue his passion for healthcare innovation.